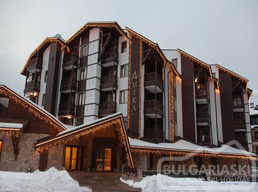 BulgariaSki.com offers more than 50 hotels in Bansko ski resort in Bulgaria. 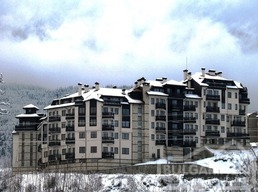 Ski and snowboard hotels of various standards and prices are available for online booking. 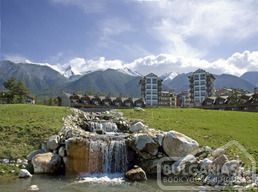 Most of the hotels in Bansko ski resort offer accommodation corresponding to 3 and 4 stars service. Some of the recommended hotels of these categories are Bansko Spa & Holidays hotel, Green life ski & spa resort, MPM Hotels, Guinness hotel, Lion Hotel, Park Hotel Gardenia, Regnum Aparthotel, Vihren Palace Ski & SPA resort, Mont Blanc, Bojur hotels, Grand Montana Apart hotel, Orbilux Apart hotel, Redenka Chalets, Royal Towers complex, Winslow hotels, etc. 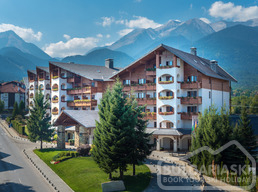 Several hotels in Bansko corresponds to 5 stars accommodation such as Kempinski Grand Arena, Premier Luxury Mountain Resort, Lucky Bansko Hotel, Pirin Golf Hotel & Spa. Most of the hotels in Bansko feature modern SPA centres, large indoor and outdoor swimming pools, various restaurants, bars and night clubs, children clubs and playgrounds, ski and snowboard school and equipment for rent, conference halls and business centres and other facilities for ski or summer holiday in the Pirin mountain. Browse the hotels and their facilities in the list below, choose a hotel, fill in the booking form and we will contact you as soon as possible.